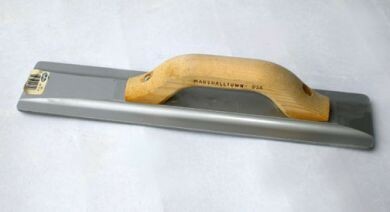 Marshalltown magnesium float, 16" x 3 1/8" Type No. 145. Wooden handle and robust blade.